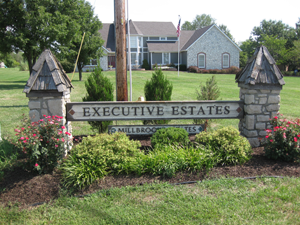 Most of the homes were built at a time when Executive Estates was pretty far 'out south' in Johnson County. Not anymore. Now there are Starbucks and pizza places South and a little West.